No students at school does not mean no work gets done in Unit #50. 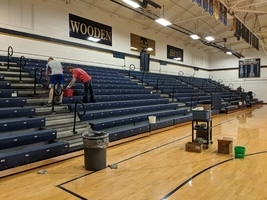 Custodial crews are cleaning the bleachers to get ready for Senior Honors Night, THS graduation, and TJHS promotion. 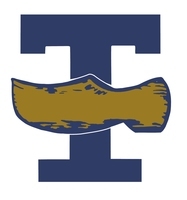 On Monday, April 8, the Effingham County Sheriff's Department and the Teutopolis Fire Department will conduct an active shooter training at Teutopolis High School. The exercise will begin at 6:00 PM and will last approximately 90 minutes. Please do not be alarmed when driving by THS and seeing numerous emergency vehicles in front of the building. 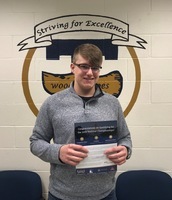 Congratulation to Eli Copple, who qualified for the National Championship at the History Bowl held on Saturday in Mattoon. 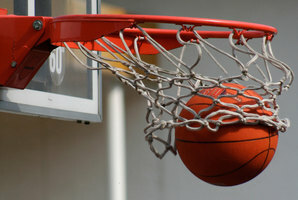 The Nationals Championship is being held in Arlington, VA this April. Good luck, Eli! The club concluded the year with a cook off! The results were delicious! 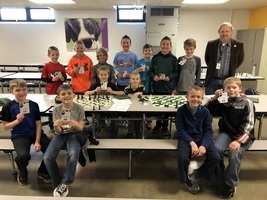 The TGS Chess Club had a fantastic year! 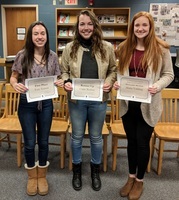 Congratulations to Lyla Apke from TGS for being selected as one of the top 100 students in the Picture the Music Competition. 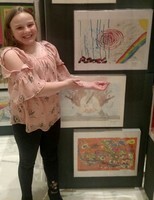 Lyla was honored by the St. Louis Orchestra Volunteer Association at Powell Hall. The Spirit Bandannas will be on a special sale of $5 TODAY AND TOMORROW!!! 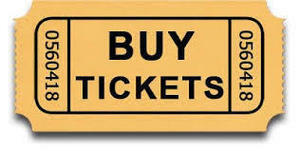 Get yours NOW in the high school office for this weekend's basketball action! 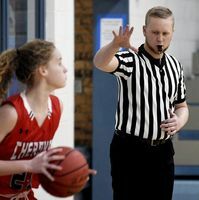 Let's cheer on our Girls at State, and our Boys in post season play at Regionals!! 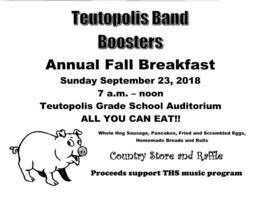 Proceeds benefit our THS Cheerleaders! GO SHOES!!! 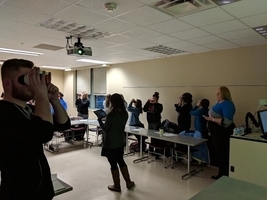 Many thanks to the Eastern Illinois University Rural Teacher Collaborative for inviting Unit 50 to show our VR goggles and their benefit in classrooms to teacher education majors. Ripped from the headlines! The 8th Graders Drama Club will present The Real Story of Little Red Riding Hood on Thursday February 28thand Saturday March 2nd at 7:00pm at the TGS Stage. Admission at the door, Adults $4.00 Students and Seniors $3 50. 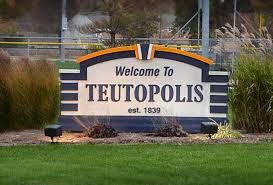 Due to a major water main break, Teutopolis Unit #50 schools are closing. Buses will begin running at 9:45. Parents may pick up their children any time. School staff will remain on-site until all children are accounted for. 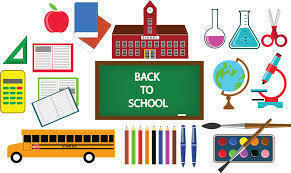 Please be patient when calling schools as phone lines will be extremely busy. Call TGS to schedule an appointment. These fun teachers just attended The AWESOME Teacher Conference by Monica Genta. Many great ideas and activities were shared to engage our students. 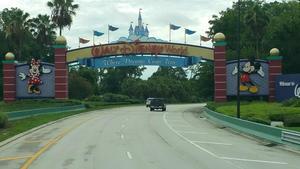 It was amazing!! After learning about the Great Wall of China, Mrs. Chesnut's class engineered their own Great Wall, out sugar cubes. They had to used chopsticks to move and stack their sugar cubes. 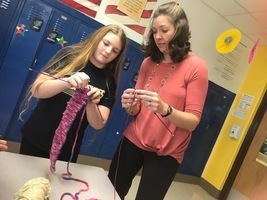 Mrs. Habing is learning to knit from one of her very patient students. Once she and a few other students have it down, they will be helping other 6th grade students who want to learn the art. 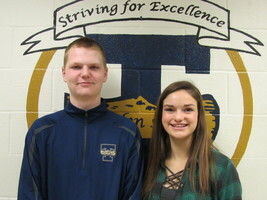 THS January Students of the Month Devin Beckman (left) and Savannah Grimes (right) with Teutopolis Educational Foundation member Matt Weidner. 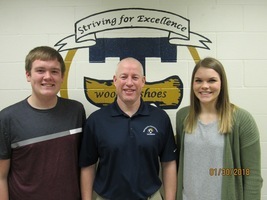 Teutopolis High School December Rookies of the Month Brock Vogt (left) and Carley Habing (right) with Hank Niebrugge from Country Financial. Your BoxTop Dollars are at Work at TGS! Thanks to years of collecting BoxTops, we have new playground equipment at TGS. 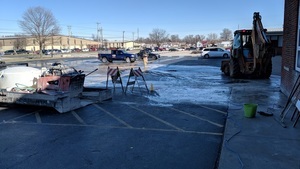 We have several community businesses to thank for assisting with the delivery, and we have many outstanding parent volunteers who put in a great deal of work. Thanks to all! The children LOVE it! Mrs. Gaddis' and Miss Vogt's Jr. High exploratory classes interviewed Mrs. Jansen's kindergarten class about Christmas a few weeks ago. The Jr. High students then illustrated pictures and wrote a story to give to their kindergarten buddy. They enjoyed cookies and a drink together as they read their stories. Thank You Jr. High students! Unit #50 has many talented students. Here is an example of yet another. 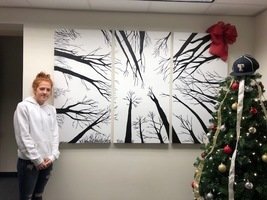 Shannon Thoele created this painting for the THS Guidance Office. Thanks for your efforts, Shannon. Mrs. Repking's class has been busy programming robots to complete different challenges. A few future engineers just completed their first challenge! THS Cheerleaders will be selling Spirit Bandannas at the boy's varsity game tonight. Show your support tonight against one of our biggest rivals! Only $8! 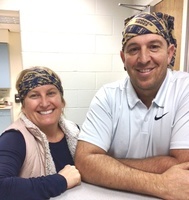 Can be worn on the head as shown by our gracious models (Mrs. Deters & Mr. Fleener), leg, arm, neck (over 20 different ways)! Have some styling fun and show your school spirit!! On December 3, TGS fourth graders spent the afternoon celebrating the Illinois Bicentennial. Happy 200th Birthday, Illinois! 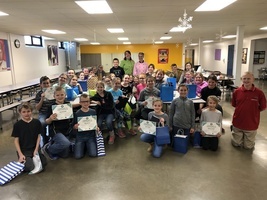 During Computer Science Education Week Miss Mette’s fourth graders completed an Hour of Code with millions of other students and teachers in over 180 countries around the world. 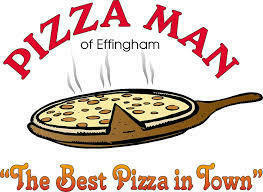 Looking forward to a large crowd at the annual TEF spaghetti Supper on November 6. 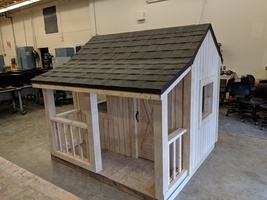 Open this link for more information: https://goo.gl/1hJztJWe will also be drawing a winner for the playhouse (pictured above) raffle. Mrs. Kreke’s Kindergarten class visits the Teutopolis Fire Station! Mrs. Kreke’s Kindergarten class visits the Teutopolis Fire Station! This week we learned about fire safety! 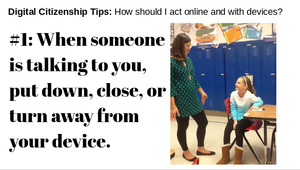 We know our meeting place, how to stop drop and roll, and how to call 911! 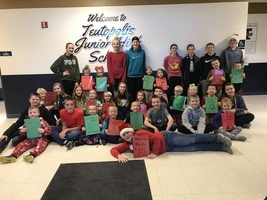 Thank you Teutopolis firefighters! 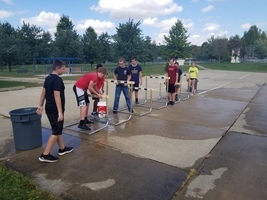 TJHS students participated in team-building exercises today during their annual field day. Our 6-12th graders were invited to an assembly yesterday featuring the group Attaboy. 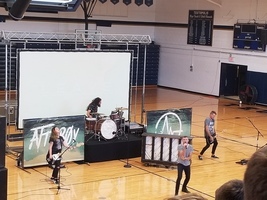 The Attaboy Band travels the country encouraging students to make positive choices in their lives. The students had a great time. 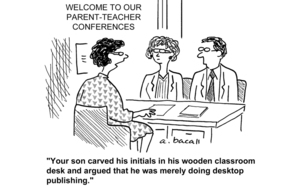 Parent Teacher Conferences at the high school are Thursday, October 18th from 4-8pm and Friday, October 19th from 8-11am. Hope to see you there!! 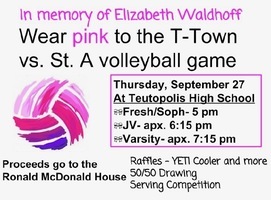 Help THS Volleyball "pink out" the gym in memory of Elizabeth Waldhoff on Thursday, September 27th. 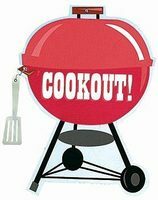 There will be raffle prizes, a 50/50 drawing and a serving contest. Proceeds will be donated to the Ronald McDonald's House. JV starts at 6:15pm, Varsity to follow. Come and show your support! These are renderings of proposed THS work. 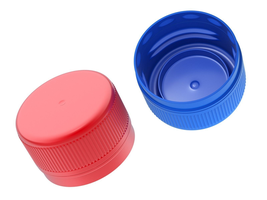 Please save your Pepsi Pigskin bottle caps. 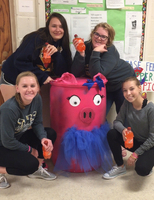 Abi Meyer, Kelsey Deters, Elizabeth Weidner and Tanisha Will decorated our "Pigskin" barrel that the caps go in. Collecting at any school office, or give to Mr Fleener or Mrs Deters at THS. Supports Volunteens and THS Baseball. 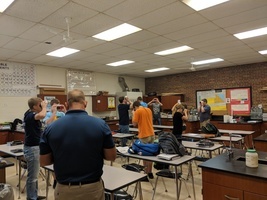 One of Mr. Fleener's science classes used the new Virtual Reality goggles to take a tour of the International Space Station earlier this week. 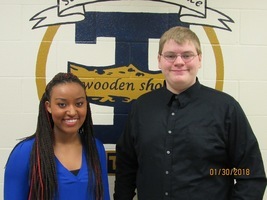 The VR goggles were purchased by the Teutopolis Educational Foundation. 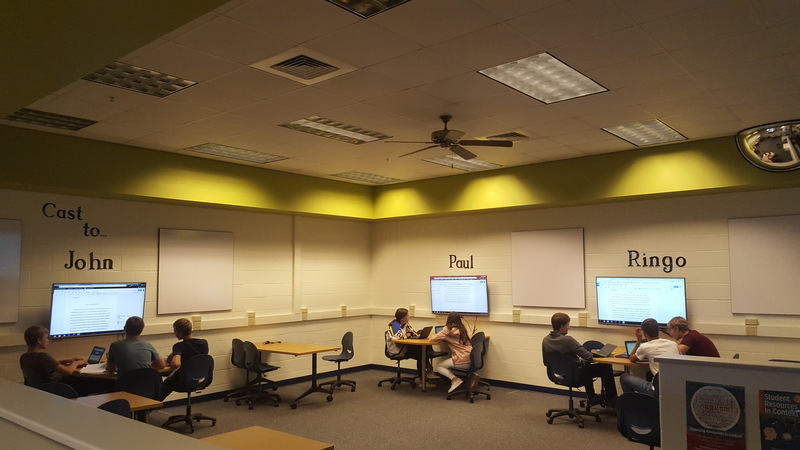 Thanks to the Teutopolis Educational Foundation, Unit #50 students are using virtual reality goggles. Today, junior high students used the goggles to take virtual tours of sites related to the beginning of the Revolutionary War. 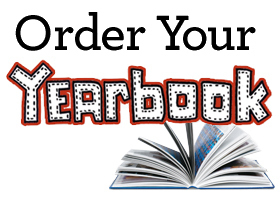 Order Your High School Yearbook Now! 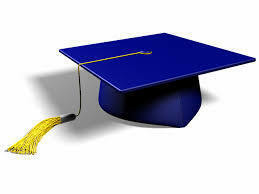 Financial Aid night at THS will be Tuesday, October 2 @ 6:00 p.m. in the media center. 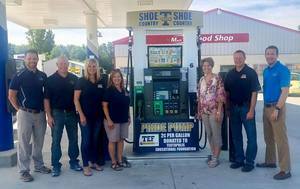 We are so excited to unveil the new PRIDE PUMP at the Teutopolis Mach 1 location! When you fuel up at this pump, Mach 1 will donate 2¢ per gallon to the Teutopolis Educational Foundation. Come by and show your T-Town Pride! 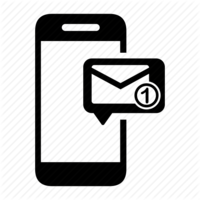 If you did not receive an email regarding THS and TJHS registration, please send an email to teacherease@ttown.k12.il.us. 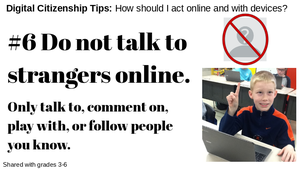 Or, you may try to contact the appropriate school’s office (THS: 217-857-3139, TJH: 217-857-6678). Alex Deters and Logan Waldhoff played 3 matches today and lost 2. They are done for the season Alex Probst and Seth Probst won 2 matches and lost one. They move to day 2 tomorrow.Kyele Mossman played 3 matches today and won 2. He moves onto day 2. Good luck, boys. T.G.S. 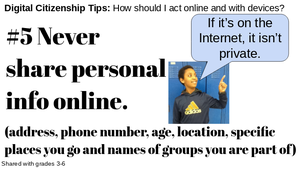 students come up with another great digital citizenship tip. 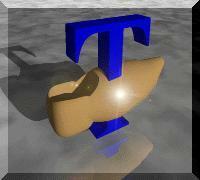 T.G.S. 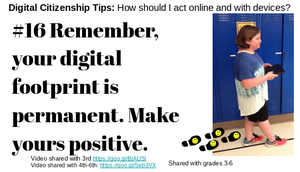 students create digital citizenship tips. 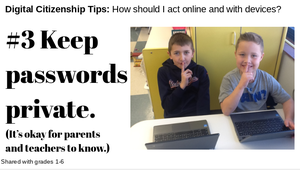 Check out our next tip! 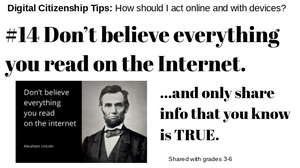 Another great tip from the T.G.S. students! 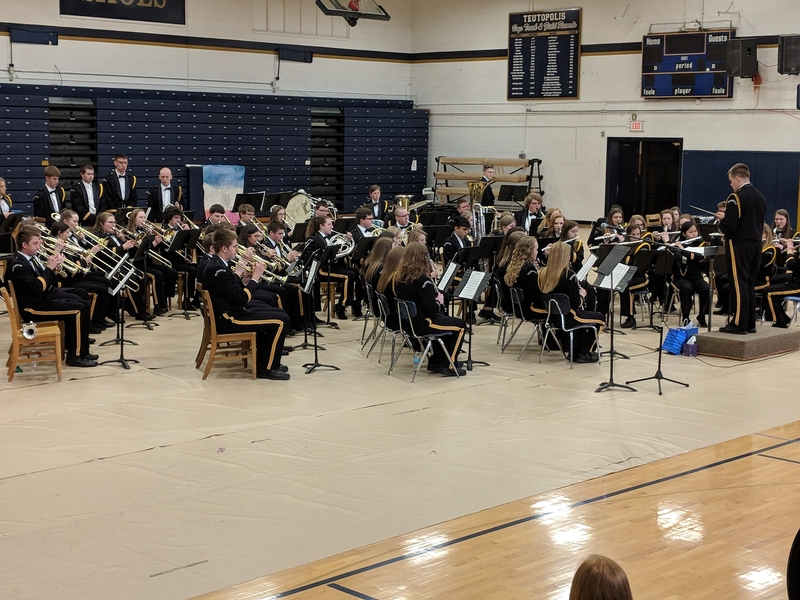 Wonderful band concert and art show at THS this afternoon. Children who will be entering kindergarten August 2018, along with a parent or guardian, are welcome to visit the Kindergarten rooms on Friday, April 27th, from 9:30-10:30 a.m. and from 1:30-2:30 p.m. You may come any time during these hours. We look forward to meeting you. 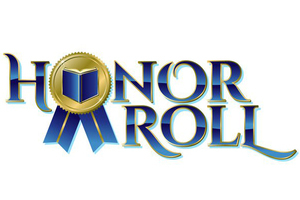 ATTENTION ALL SENIORS: Mrs. Hall will be coming into your English class one day next week to have you fill out a form for honors night. 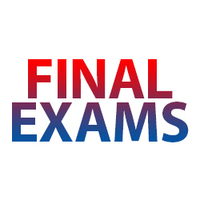 We need to know if you have received any scholarships and the exact dollar amount. If the scholarship is renewable (either two or four years), YOU need to figure up the total dollar amount. 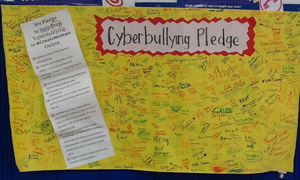 To wrap up our discussion on Cyberbullying, 3rd -6th Graders signed a pledge. Together, we can do this! 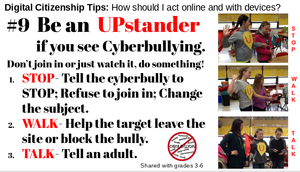 Be an UPstander...or as many students called it this week, "a helper," "a friend," "a hero." 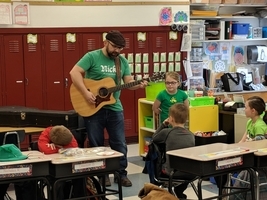 Matt Passalacqua played some Irish music for second graders today. Thanks, CeCe, for inviting me to join your class. 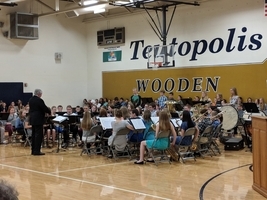 Great concert by 5th grade, 6th grade, and junior high bands tonight. Here is a link to the slideshow used at the presentation on the THS facility on March 5: https://goo.gl/KjVPx4Here is a link to the survey district residents may take to help the school board with this decision. 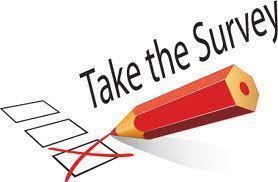 https://goo.gl/RExo8J Hard copies of the survey will be available at the Unit #50 office. TGS students were treated to a show from the Mad Scientist "Dangerous Dan" from St. Louis to celebrate the end of the 3rd quarter. 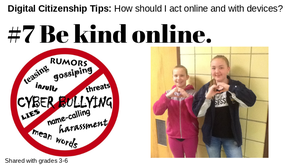 In Tech class this past week, we talked about the serious problem of Cyber bullying. 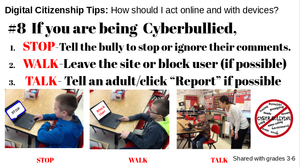 4th - 6th Graders watched: https://goo.gl/S4n4kk 3rd Graders watched: https://goo.gl/KciQMp A great resource for parents is https://www.commonsensemedia.org/cyberbullying Any chance you get, please review and discuss the tip below with your child. Thanks! 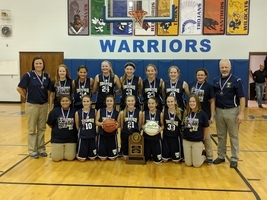 The Unit #50 Board of Education is holding a special meeting on Monday, March 5 at 7:00 PM in the Teutopolis High School gymnasium to share information on the high school facility. 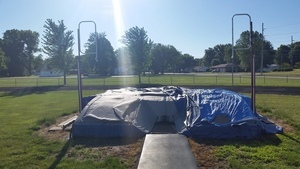 The School Board has studied the issue for many months and has information on possible solutions for renovation or replacement of parts of the structure. 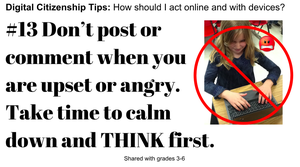 TGS students share another very important tip!!! 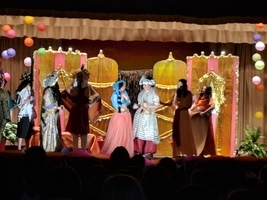 Junior high students performd the play Abracadabra Aladdin for TGS students today. 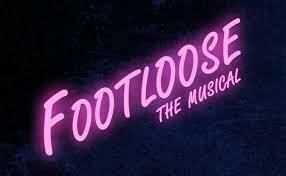 Public performances are scheduled for February 22nd and 24th at 7 p.m. in the TGS Auditorium. 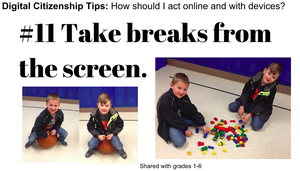 TGS students continue with digital safety! 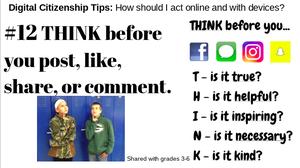 TGS students continue to educate us with internet safety rules. 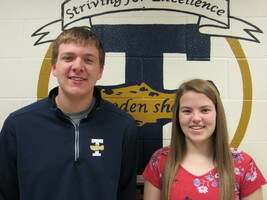 THS senior Wittni Cotton is one of the top 10 dance soloists and has advanced to the IDTA State Finals. She will be competing today, February 9, for Miss IDTA. 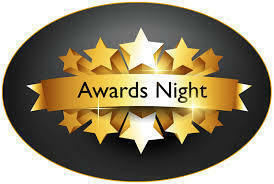 Final results will be announced at 7:30 tonight. Go Wittni! Jillian Allen, a THS Senior, is proud to announce Rally Up! as her CEO business. 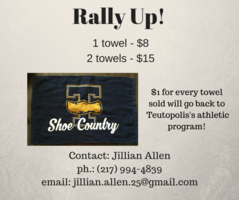 She will be selling the rally towels at the remaining THS boys basketball home games. For every towel purchased, she will donate $1 back to the school. Show your spirit and wave T-Town to victory! 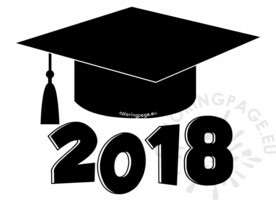 Attention all senior parents: Please remind your student to bring in a baby and senior photo for the 2018 senior photo album. 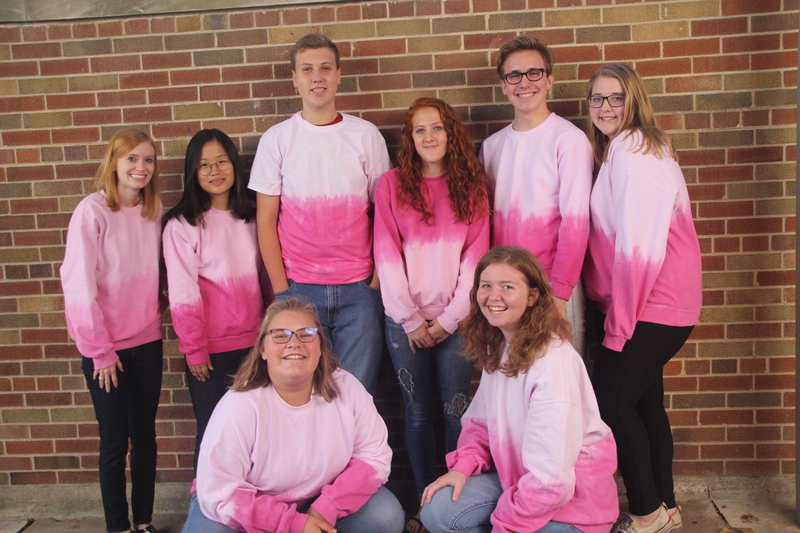 You can bring your photos in a labeled envelope to the high school office, Rachel Mette, or Ellie Hanfland. 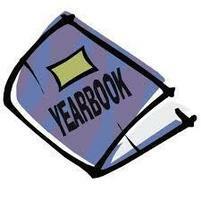 You may also email a digital copy of the photos to thsyearbook@ttown.k12.il.us. All photos are due by February 12th. 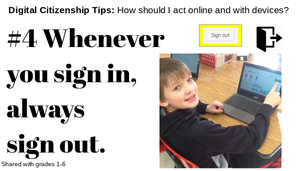 This week's tip at TGS- Signing out is like locking the doors to your house when you leave. 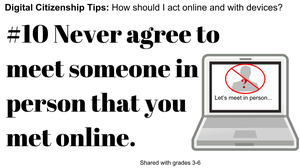 Another important rule to remember! One Hundred Days of School! Great activities in Mrs. Kreke's classroom! 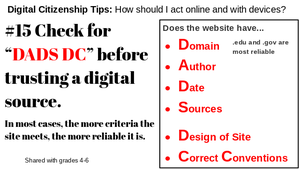 Each week Mrs. Wakefield will be covering a Digital Citizenship Tip in Tech Class. 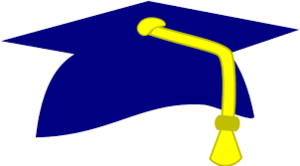 Information regarding the Lakeland foundation scholarship can be located on the link below or found in the "senior" google classroom. https://www.lakelandcollege.ed... -- The deadline is February 1st. Teutopolis Girls Basket Ball 1000 Wins T-Shirt Order FormOrders and payment are due 1/31/18. Return the order form to THS Office or Coach Thompson. Merry Christmas to all you in Wooden Shoe territory! 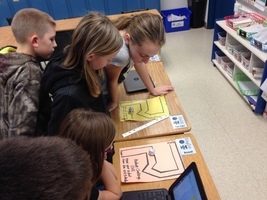 Mrs. Meyer's 5th Grade Social Studies classes are learning about the causes of the American Revolution. The students were taxed by the KING and members of Parliament. 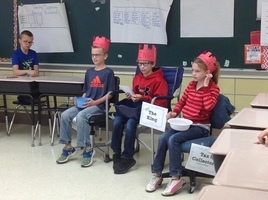 The students were not a fan of taxation without representation, but had a lot of FUN! Sixth graders bring in the pros for assistance with their Christmas projects. 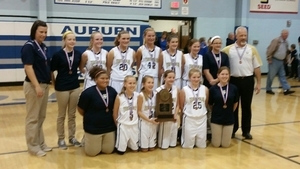 8th grade girls win state title game 28-23. 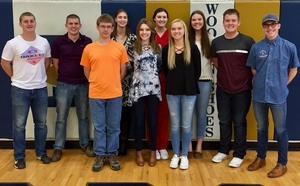 Congratulations to the Teutopolis High School Illinois State Scholars for the 2017-2018 school year!L-R: Cody Jansen, Michael Deters, Michael Fuesting, Rachel Niemerg, Madison Magee, Leah Jansen, Lauren Hemmen, Courtney Hoene, Max Ruholl, and Evan Blievernicht. 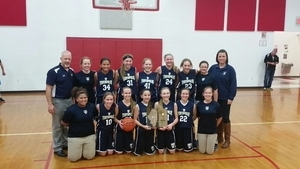 The 7th grade girls lost 44-31 tonight. 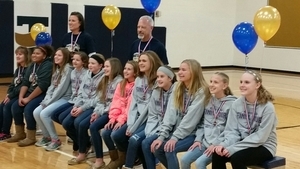 They placed 4th in class 7-3A. 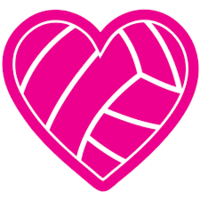 Congratulations, coaches and players, on a fantastic season. 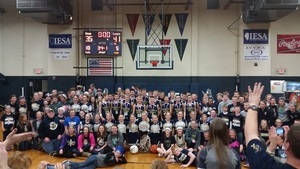 Your 8th grade sectional champions and their fans. 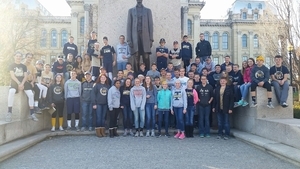 State basketball tournament and state capitol tour. Good experiences all day for our students. 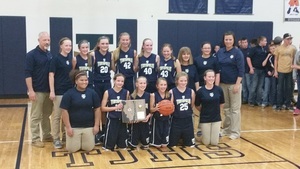 The 7th grade girls sectional champions and their fans. The girls will now play Saturday in Auburn at 11:30 AM. 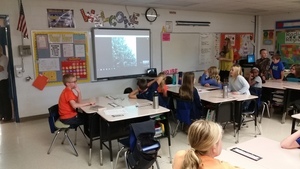 Fourth grade teacher, Michelle Mette took TGS 4th graders on a tour of Rockefeller Center today via Google Hangout. She is visiting NYC, and 4th graders are studying the Eastern states. The tree at Rockefeller Center will be lit Wednesday at 6:00 Central Time. 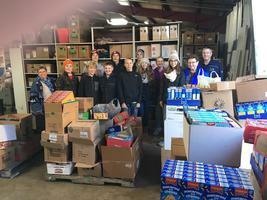 Many thanks to our Teutopolis Junior High Student Council for collecting 7870 cans of donated food items. 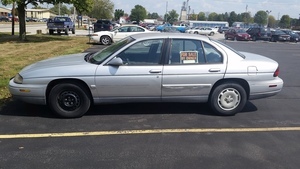 The products were delivered to Catholic Charities last Wednesday. 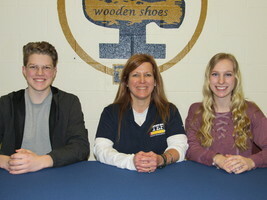 And, thanks to the Student Council Sponsors Amy Oseland and Karen Smith for their efforts. As usual, John Mette donated his time and a truck to deliver the food. 7870 cans of donated food items were delivered to Catholic Charities today. Families from TGS and TJHS donated food for the drive. Many thanks to John Mette who donated time and a truck to help. 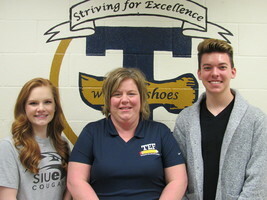 The TJHS student council sponsored the drive. Thanks to our students and families for helping those less fortunate. Mrs. Kreke's kindergarten students are creating Play-Doh feasts! The fourth grade class took a field trip to see the movie Wonder. 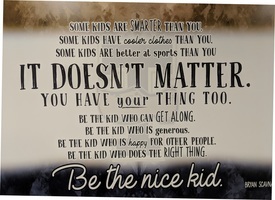 The students read the book by R.J. Palacio this Fall, and it has become a favorite for many! “When given the choice between being right and being kind, choose kind." 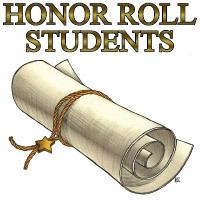 The student services office received several scholarships this week and have posted them on the student services/guidance website. Please be sure to check them out! THS wants to remind all of the hunters to wear their orange this weekend. Please be safe and good luck to all of the deer hunters out there! 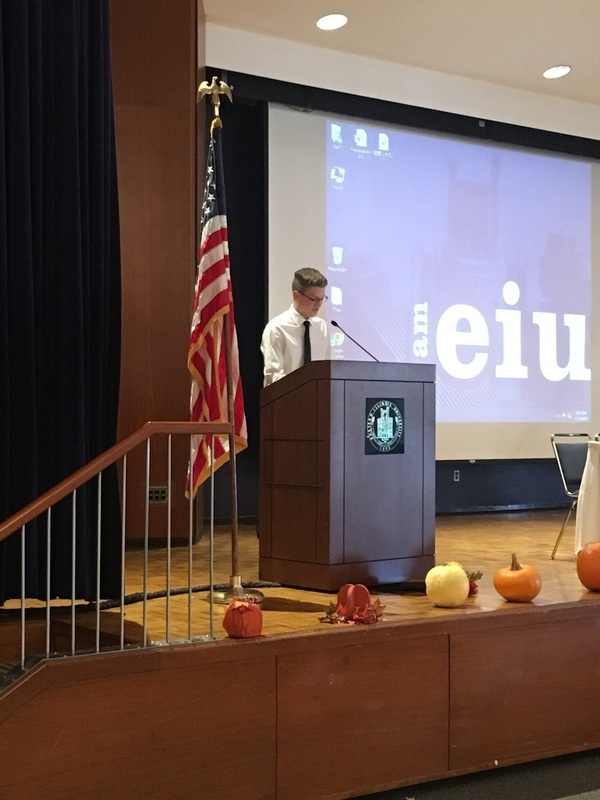 THS Student Council is hosting the EIDASC Fall Convention at EIU today. 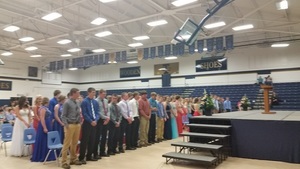 Mr. Fritcher presented the welcome speech. 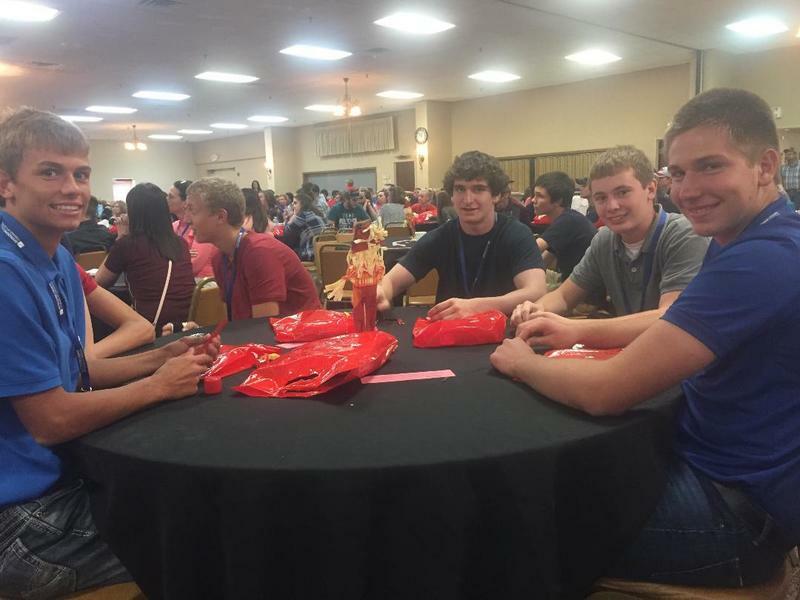 Evan Blievernicht is EIDASC President and Will Wortman is running for EIDASC Vice President. 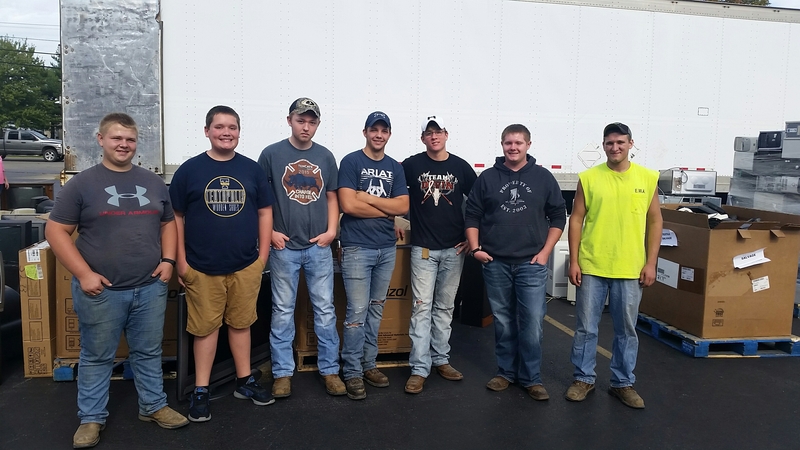 We also want to send a huge THANK YOU to Teutopolis State Bank, Three Z Printing, Siemer Milling, Koerner Distributer, and Stevens Industries Inc. Thank you to our Friends at Farmweld, Inc.! 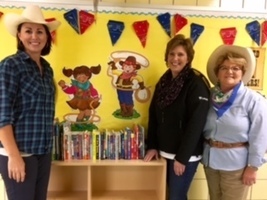 In conjunction with the Wild, Wild West Book Fair, Farmweld, Inc. purchased books for each classroom teacher to put in his/her class library! Over 80 titles were added all together! The teachers and students are excited to read all of their new books...A BIG Thank You & YEE HAW to our Friends at Farmweld, Inc.! Jerry Runde of the Teutopolis State Bank presents a $700 check to members of the THS Varsity Club for sponsorship of the Kasasa Half-Time Hot Shot Competition at the boys varsity basketball games this season. 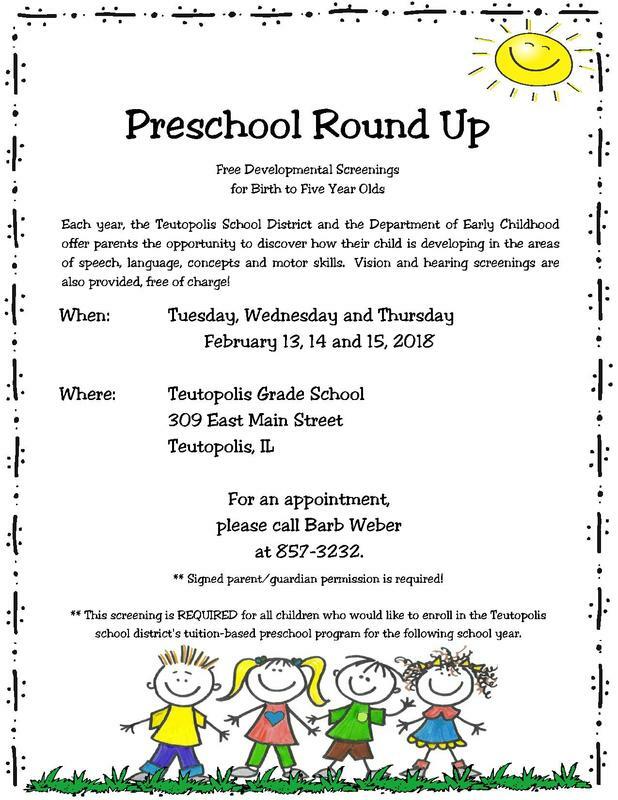 Many thanks go out to Teutopolis State Bank for their generous donation again this year! 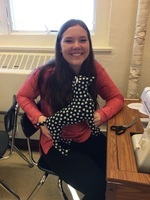 Kate Volk "wears the pants" in Mrs. Hazletts' Sewing Class. 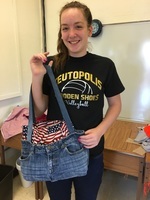 Courtney Hoene completed her sewing project in Mrs. Hazlett's class. It was a "ruff" one. The preschool students had so much fun at the Stang Arts studio! They can't wait to go back! As Veterans' Day draws closer, the staff and students of Unit #50 would like to thank our very own Veterans. 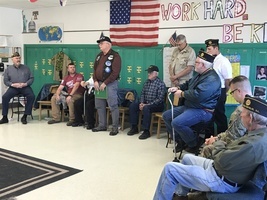 Mr. Steve Fritcher served five years in the U.S. Army and Mr. Al Church served four years in the U.S. Army. 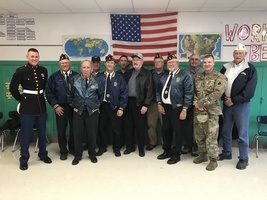 We appreciate their service to our country and their service to our students. We thank them. Praise the Effort. Compliment the Hard Work. We Have Not Mastered a Skill, YET! Help wanted: Unit #50 is in need of a substitute custodian or two. Pay is $11.57 per hour. Interested applicants should contact the Unit Office at 857-3535 or stop by at 801 West Main Street. Custodians must be in good physical health and be able to lift, push, or pull heavy objects, climb a ladder, and work after school hours. Mrs Jansen's Kindergarten class is ready for their Halloween Parade. In the Halloween Spirit at TGS! The Teutopolis kindergarten spooks haunted the hallways and gymnasium of the Grade School on Friday, October 27. 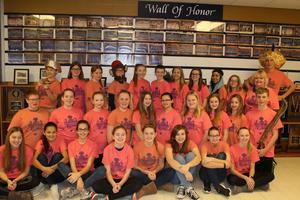 The THS In- Touch students came to the grade school to work with the 5th and 6th graders on team building activities. Everyone seemed to be having a great time! TGS third graders are making murals about four Native American tribes! They used their social studies books and chrome books to find interesting facts! 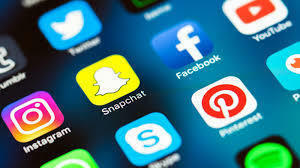 Donate old devices for student use in the classroom! Students may use the devices in one of the following ways: https://edu.google.com/expeditions/#about https://edu.google.com/expeditions/ar/#about Download the Flyer Here! What do owls eat? 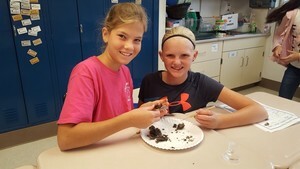 After learning about how energy flows from one organism to the next, the fifth graders were able to examine what owls eat by dissecting an owl pellet. What fun! Preschool Takes a Field Trip! 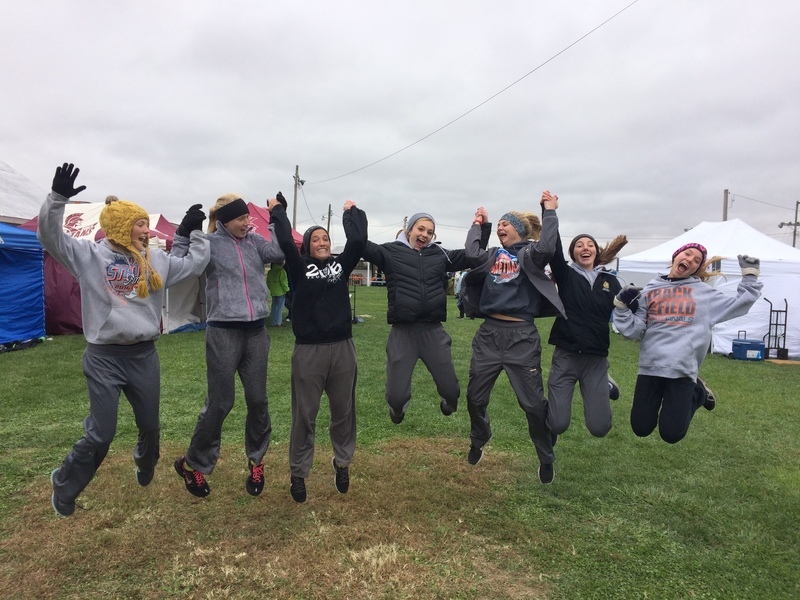 These kids had a BLAST checking out pumpkins today. They were so excited to ride the bus! 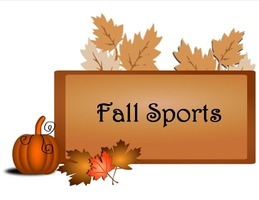 Just a reminder that there will be a financial aid presentation in the high school media center tomorrow, Wednesday, October 10th, at 6 p.m.
THS student services office is beginning to receive scholarships that are available to seniors. 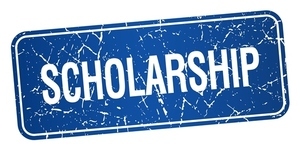 Please be sure to check out the student services/guidance tab on the THS website to view these scholarships and important deadlines. Have a great evening! The Teutopolis Kindergarten classes visit the Teutopolis Fire Station! First Graders are at the Pumpkin Patch! 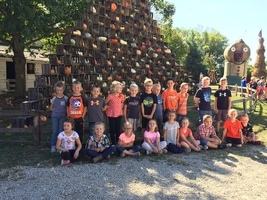 Kindergarten students had a great time at the Okaw Valley Orchard! We learned so much about apples, watched them make apple cider, enjoyed apple donuts, and picked apples to bring home! We would like to thank our bus drivers and volunteers! Mrs. Jansen's kindergarten class releasing their 5 butterflies! 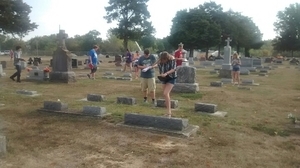 Biology students in Mrs. Thompson's and Mr. Bierman's classes collecting data for a demography lab. 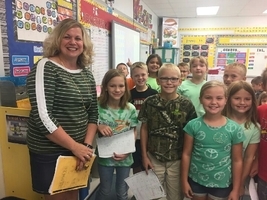 Teutopolis Grade School students and staff are showing their support for Mattoon schools by wearing their green today. Mrs. Habing's 6th Grade Social Studies Class has been studying the Paleolithic Era. They made their own cave paintings replicating work from this time period which is also known as the 'Old Stone Age'. The students could only use a Paleolithic Era tools such as stone, bone, or wood. Students from all across Unit #50 recently raised funds to provide relief for victims of Hurricane Harvey. Combined, $2,646.08 was collected. Each school will make a decision on where to send their funds. Thanks, Unit #50 students and staff, for your generous spirit. 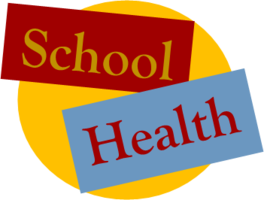 THS Senior Meningitis Clinic: WHEN: Thursday, September 28, 2017 TIME: 8:00am WHERE: THS Office Conference Room HOW: Fill out form (found in High School documents on the school website)and turn into office as soon as possible. Insurance can be billed for this shot. 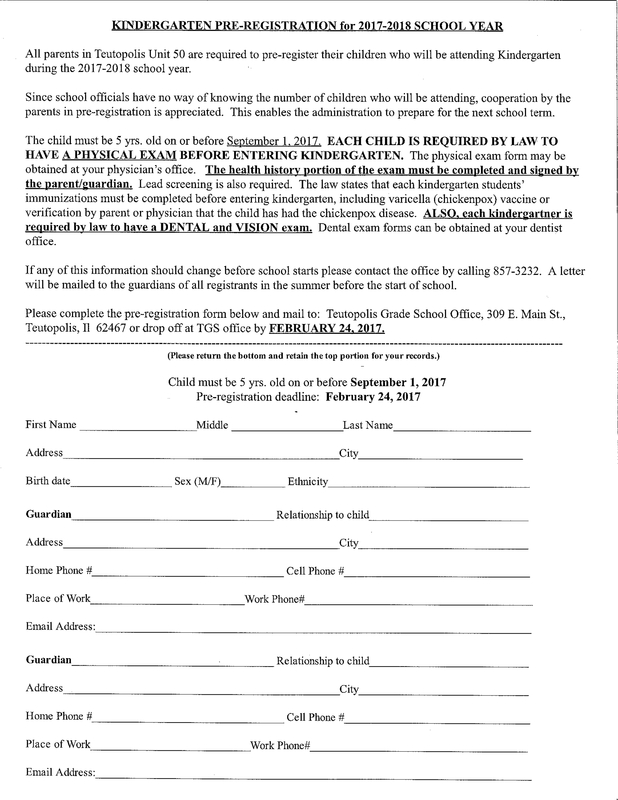 You will need to fill out the form mentioned above. Mrs. Sheehan visits Mrs. Drees' room to read Are You a Shoe? This is a story she wrote for the TGS students! It is based on the school motto. Wooden Shoes are respectful, responsible, and ready! Wouldn't you want to be a Wooden Shoe? Emily Petty, Unit #50 art instructor, did the illustrations for the book. My homeroom worked in stations today during Science to learn and experiment with scientific tools. 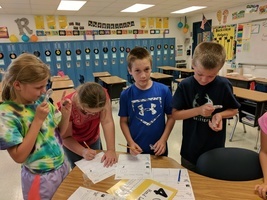 TGS fourth graders practice using the scientific tools they've been learning about in science class. Here are a few pictures from TGS of students viewing the solar eclipse. 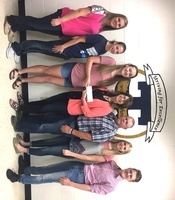 Teutopolis Education Association members in May presented a check to Rhonda Deters and her girls for "Pullin' for Ronnie". 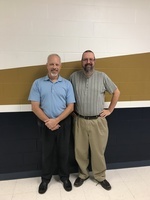 Each year the Association sponsors a Jeans Day where all district teachers and support staff are invited to wear jeans one Friday each month in exchange for a charitable donation. 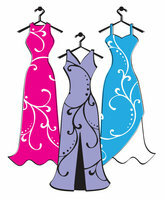 Donations collected benefit a community cause. Lunch prices for the 2017-2018 school year will be as follows:K-6 - $2.357-8 - $2.609-12 - $2.60Adult - $2.85Milk - $.35The district is still owed just over $3400 in lunch money. Please make an effort to pay overdue lunch bills prior to the start of school. To avoid registration problems this summer, PLEASE pay your overdue lunch account balance by our year end of June 30. 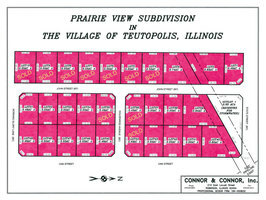 Mail to: Teutopolis Unit 50, PO Box 607, Teutopolis IL 62467. THANK YOU SO MUCH!!!!" The first books of the Summer Library Treasure Hunt were found outside of Siemer Milling Company by the Probst Family. Visit the library next Tuesday at 8:30 AM for a new riddle and another chance to win a treasure of books. Teutopolis Boy's Baseball won their Regional Championship in Greenville last night. The Shoes beat Vandalia 12-0 in 5 innings. 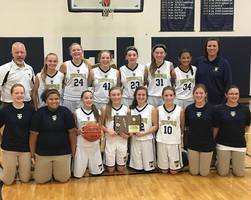 This is the team's 10th consecutive Regional Championship. The Shoes will play Alton Marquette tomorrow, Wednesday, May 24th at 4:30pm in the Vandalia Sectional. GO SHOES! The kindergarten children in Mrs. Jansen's room put on a Talent show. Check out what is in store for those who participate in the TGS Summer Library program - https://goo.gl/VD1tWE. 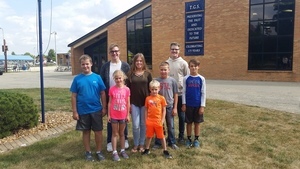 The Kochers and Ruholls planted four trees behind the grade school yesterday. They planted two different species of maple trees, a ginkgo tree, and a tulip tree. The trees were donated by Wolke Nursery. Thanks for thinking of TGS! After reading a story that discussed mangoes, Mrs. Bushue's second grade class examined mangoes. The students were very surprised to see how big the seed was. Many of the students really enjoyed the taste of the mangoes. 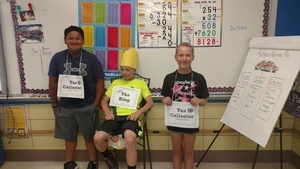 Mrs. Einhorn's 5th grade Social Studies class learned what it was like for the colonists to be unfairly taxed by the King. 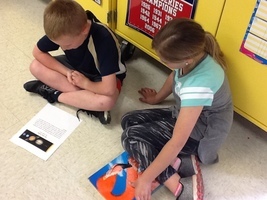 6th grade students Mitch Jansen and Easton Rodgers from Mrs. Chesnut's class read stories and asked questions about their story to Mrs. Jansen's kindergarten class. 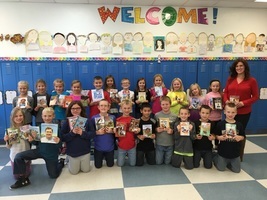 A friend of the Book Buddy Program made a monetary donation which made it possible for each members of the Book Buddy Program to pick a book from the TGS Book Fair. Easter party fun! Mrs. Jansen's kindergarten class had egg blowing races. Teutopolis third graders has a great day at the St. Louis Zoo today! 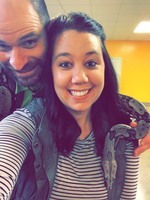 The weather was great and the animals were amazing!!! Both first and fourth graders learn about the solar system during science class at TGS. Today Miss Mette's 1st graders shared their explanatory paragraphs and Mrs. Schumacher's fourth graders read from their science textbooks. Students enjoyed learning from each other! More pictures from a third grade science classroom. TGS 4th graders are on their field trip to the St. Louis Science Center today. Here is how much it would cost to send these nine into space. It's a beautiful day at the St. Louis Science Center. Let's tart the fundraiser!